You’d be hard pressed to find a major release on either console or PC that doesn’t launch with a few teething problems. Or, if you’re talking Mafia 3, massive glitches that lead to tens of thousands of videos splayed across YouTube. Have a look at Civilization 6’s civilizations, leaders and their unique abilities here. 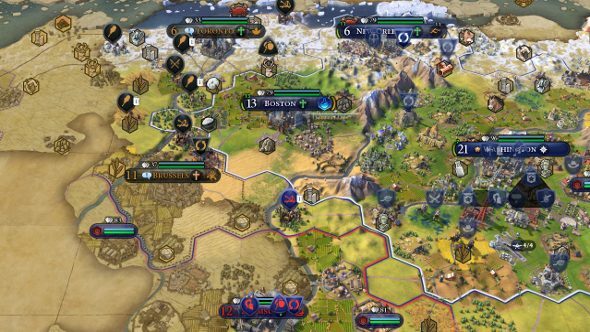 In the case of Civilization VI, much of the online chatter on Reddit has been focused on a lack of team multiplayer in the current version of the game. It appears this is just a temporary problem, however. Eagle-eyed Reddit users quickly noted that code for team multiplayer within the game is largely in place, but has effectively been ‘switched off’, along with an advisory that team pulldowns have been disabled “until day 0 patch”. Well, said patch has come and gone without any joy, suggesting the team simply haven’t had time to implement it yet. According to those same Reddit users, you can switch it on manually by changing one line in the StagingRoom.lua saved in the Civilization VI folder on your PC, with team multiplayer appearing to function normally as a result. Of course, it’s a given that making any manual changes is done at your own risk. The Reddit post that details the edit also has a whole host of solutions for other early Civ VI problems, such as making the tooltips bar appear faster and employing a custom windowed resolution, amongst others. You can check it out in full here.